Worldpay finds contactless is the most popular way to pay across the UK. 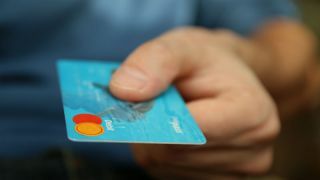 Contactless payments have become the most popular form of card transaction in the UK for the first time, new figures have revealed. The latest figures from payment processor Worldpay say that contactless has now overtaken Chip & Pin payments, having already toppled cash transactions earlier this year. The company estimates that £38.5bn will be spent using contactless in the second half of 2018, with the volume of payments growing 30 per cent over the last year. Alongside this, WorldPay found that mobile contactless payments saw a huge 122 percent growth of 122% over the past year as consumers enjoy a more frictionless experience. Certain industry sectors saw even larger rise, with fashion retailers seeing a 415 percent year-on-year increase in contactless payments. Elsewhere, the clothing and footwear sector saw an increase of almost 500 percent in mobile contactless payments over the past year, with betting shops and department stores also seeing between 150-250 percent growth. The growth has been seen across the country, with Northern Ireland seeing the greatest growth (48 percent) followed by the North West (42 percent) and Scotland (37 percent). “The data clearly shows that shoppers are moving towards more convenient forms of payment," said Steve Newton, Worldpay executive vice president. "This aligns to what we’re seeing in a number of sectors: time-poor consumers want instant access to their goods. Whether buying clothes or booking holidays, speed and ease are the watch words for meeting consumer expectations. The popularity of online shopping, mobile payments and click-and-collect is testament to this."